Ricky Gervais has never shied away from controversial opinions. When he hosted the Golden Globes for two years in a row, the sarcastic comedian walked into a room of some of Hollywood’s biggest celebrities and daringly made jokes about them, knowing that he would face criticism afterwards. In his new show After Life, he dares himself to try something new. The new Netflix comedy focuses on a widower dealing with the loss of his beloved wife, Lisa (Kerry Godliman). Gervais plays Tony, a writer for a local newspaper. The free paper focuses on unique stories provided by members of the local community. From a couple who believe their child resembles Adolf Hitler to a man who sees an actor’s face in a water stain, the individuals who ask to be profiled in the paper long for a brief flirtation with fame. After losing his wife (seen here in videotaped recordings she left for her husband), Tony starts to question the mundanity of his existence. He believes the newspaper he writes for is silly and his life has become a mess. He’s even pondered suicide several times. None of this seems like fodder for a comedy but Gervais finds the humor in this story of pain and heartbreak. All six episodes of the series were written and directed by Gervais and his politically-incorrect humor features prominently in the program. The program’s first episode focuses on a typical day in Tony’s life. He feeds his dog. He works at the newspaper. He visits his aging father (David Bradley) in a nursing home. Throughout his day, he’s reminded of his late wife. The dog was a major part of the couple’s home life. His editor is his brother-in-law and his father, who suffers from memory loss, continually always asks him about Lisa. To Gervais’ great credit, Tony’s loss is never minimalized and glossed over. This is a program about mourning and it never shies away from the heartbreak of a man losing his beloved wife. But the program also captures how a person’s loss can transition into hurtfulness. In the early episodes, Tony’s frustrations carry over into every aspect of his life. His sarcastic quips provide plenty of laughs but there’s a damaged man underneath them struggling to move on. There’s a great empathy that Gervais feels for this character and it shows throughout. However, to Gervais’ credit, there’s also an empathy built in here towards the characters surrounding him, who have to suffer through Tony’s insults. 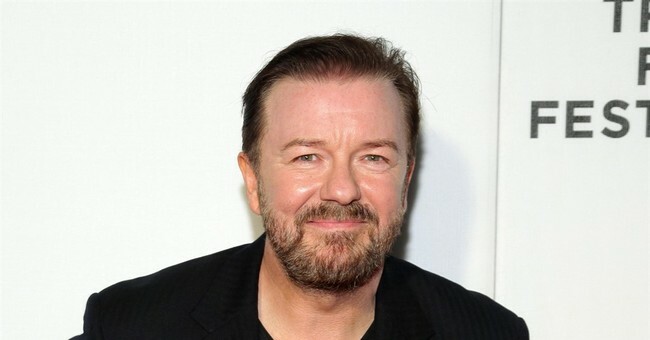 In six thirty-minute episodes, Gervais focuses on a few key characters in Tony’s world. Several of them are his work colleagues. Another key character is a nurse at his father’s nursing home. The standout, however, is Anne who is played winningly by Downton Abbey’s Penelope Wilton. Wilton’s role is small but she makes each of her brief scenes with Tony stand out. These are two characters who can tease each other while bonding over the loss of their beloved spouses. There are some elements of the show here that could turn some viewers off. In one heartbreaking episode, Tony makes a choice that leads to tragic consequences. That decision could temporarily alienate some viewers (it certainly did for me) but it seems like Gervais knowingly added that element to show Tony’s complicated mindset at the time. There are plot developments here where Gervais seems to be testing the audience, pushing boundaries of what people are willing to accept morally. If you’re looking for something completely positive or unambiguous, After Life is probably not for you. But if you’re looking for a thoughtful show that takes big chances, offers a few strong laughs and a unique perspective, this program could be for you. After Life is now streaming on Netflix.